You might have come across numerous pirate-themed games, but this one by Elk studios has broken all the cliché assumptions of the theme. 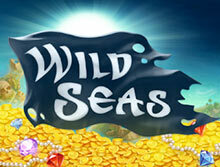 Wild Seas is a slot game offered by Elk Studios featuring a bold and legendary female pirate, Anne Bonny. It is an adventurous slot game with no less than 5 reels and a total of 178 pay lines. She was an Irish Pirate who was found in the wild Caribbean seas. This game straight away takes you back to that amazingly adventurous era of Piracy when she was in the hunger of seeking revenge from the Portuguese, English, and French captains. The game has a lot to offer to its player, about which you’ll know further in the review. Maintaining the promise of providing the best gaming experience, Elk studios has left no gap in the game for the players to complain about. May it be the graphics or the payout or even the gameplay, it has got everything covered. The result of this outstanding conduct is the jaw-dropping RTP of 96.3%. What will leave you more stunned is that the game allows you to win up to a maximum of 178,000 in a single bet. The minimum bet that can be placed is as low as 0.20 and the maximum bet is 100. The graphics of the game are well connecting to the theme. The story of Anne Bonny starts when she was a little kid and she witnessed her father getting ditched by the rogue captains who belonged to France, England, and Portugal. In order to seek revenge for the betrayal, she plans to exploit the merchant ships of EIC (East India Company). The symbols that you see in the game along with the overall outlook of the game depict the above-mentioned story very nicely and hence, do justice to the legend’s recognition. While playing the slot, your aim is to help Anne win and defeat the three captains. The game’s low paying symbols include both gold and silver coins which will be spotted on the reels. The other symbols, on the other hand, include Anne herself, and of course the three captains. There’s a wild seas symbol as well of black color which will not just act like a wild but would also become a scatter symbol when the bonus gets triggered. During the bonus, you’ll come across some treasure-filled chests and bomb barrels as well. Functions of these two symbols can be understood in the bonus feature explained below. 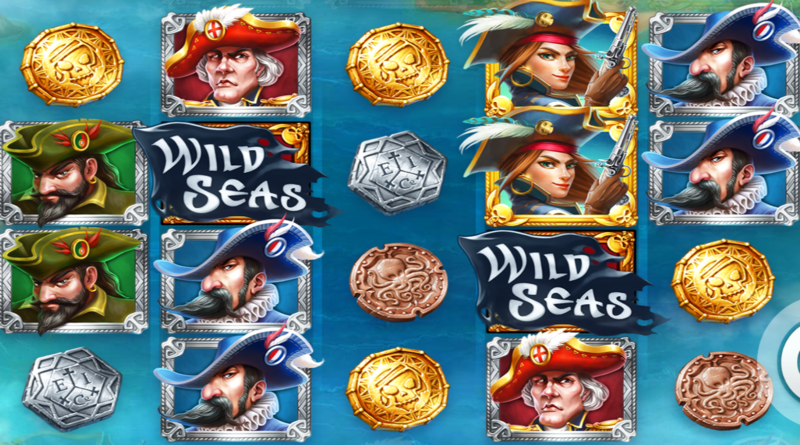 Sailing Wilds Free Spin Feature: The bonus gets triggered by the appearance of at least two wild seas scatter symbols on the second and the fourth reel. This is a free spin bonus and hence you get to roll the wheels for free. What happens is that the game randomly selects one of the three rivalry captains whose convoy you’ll have to defeat. Level 1: This is the first level of the bonus round and is called “Break the Convoy”. As soon as you hit your first free spin, 4 merchant ships start to sail down starting from row 5. These ships will act as a wild for your game and with every single free spin that you hit; they’ll shift to one further reel. Along with this, your pirate ship will be observed on the fifth reel during the free spins. Whenever the pirate ship will land in a row of a merchant ship when the reels will be rolled through free spin, it’ll try to shoot it down. The main focus is to shoot at a minimum of one ship of the merchants not less than three times to be able to proceed to level 2 of the bonus feature. Level 2: Then is level two of the bonus which is called “Loot the Treasures”. Here, you get sticky wilds on your reels wherever the treasure chests of the captain were present. The main aim over here is to increase the number of treasure chests on your reels so that you can get maximum sticky wilds which will unlock numerous combined prizes. But here comes the tricky part, the center three reels of the game are the ones which actually have the loot chest in them. On the first reel are barrels which are loaded with gunpowder. If by any chance you hit the barrel, the feature will end then and there. So, the more sticky wilds and pirates ships, the more winnings you get to collect. The game overall is very creative and one of the best provided by Elk studios. It has a very different bonus feature and an interesting story that keeps in the interest and charm of the player. It brings out the adventurous part of you preparing to take revenge on the wild seas.